Elder Ryan Bell Texas Houston Mission: Talk about MIRACLES!!!!!! Not to haunt everyone but- ONLY 8 MISSIONARY MONDAYS LEFT!!!! ONLY 8!!! When I started my mission there were well nigh almost 50, but now there is only 8. CRAZY!!!! Enjoy having 2 out while you still can. Enjoy having 2 productive members of society before the one returns to his life of reveling, video games, and tax evasion in the basements of Northern Utah. My week has been interesting. It's one of those- you know? Great, mind you; but also challenging for sure. These past few weeks my companion and I have been so blessed as to have taken part in the teaching of a fine 58 year old woman named Georgia Burrough-Lacy. We call her Sister Lacy. She was baptized back in the 60's at the age of 13, but was never allowed to talk about or practice her religion. So she grew up with a HARD life, never able to speak of being Mormon. Well, just recently, her mother passed away (Whom she swore to that she would never speak of being baptized), then her baptismal records were lost, and suddenly out of nowhere her son was baptized into the Church with no idea that his own mother was also a member of the Church. Her son then married a member girl who found out that Sister Lacy was also a member and SAW SISTER LACY'S BAPTISMAL CERTIFICATE BEFORE IT WAS LOST. So this woman that her son married was a witness that Sister Lacy was, in fact, a baptized member. Either way, her son is baptized with no idea of his mother's membership, and suddenly her records go missing. So, she needed to be retaught and rebaptized. After a series of extremely spiritual and powerful meetings and lessons with my companion and I reteaching her, we were able to witness this mother by some incomprehensible series of miracles be baptized by her only son who became a member of the Church only 2 months ago! My time runs short, but this experience has taught me that God loves ALL His children, whatsoever place or circumstance they may be in! He is aware of all and provides miracles, tender mercies, and teaching opportunities according to our language, unto our understanding. We are set to be instructed from on High if we but have the Spiritual eyes to see, the ears to hear, and the heart to understand such priceless teaching. Families are eternal. The Creator of the Universes has decreed that it is to be such and it is our responsibility to gain a testimony of that and then ABIDE THE LAW He has set to make it thus. 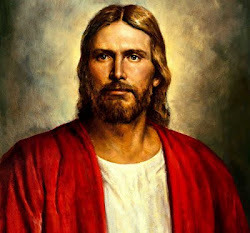 This is my intent, that I may persuade all men to come unto Christ and be perfected in Him, being joined IN ONE for the everlasting eternities. This is my testimony and I know it to be true.